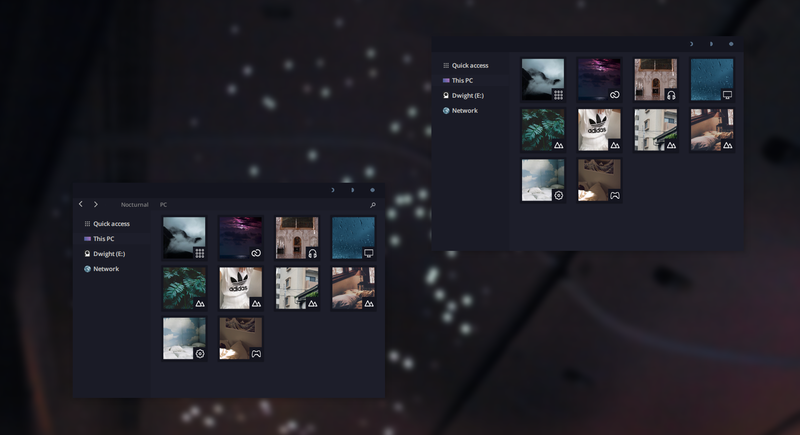 There are tons of themes available to download, but we would like to share these 25+ best windows 10 themes available to download and spices up your desktop environment with styles and themes. 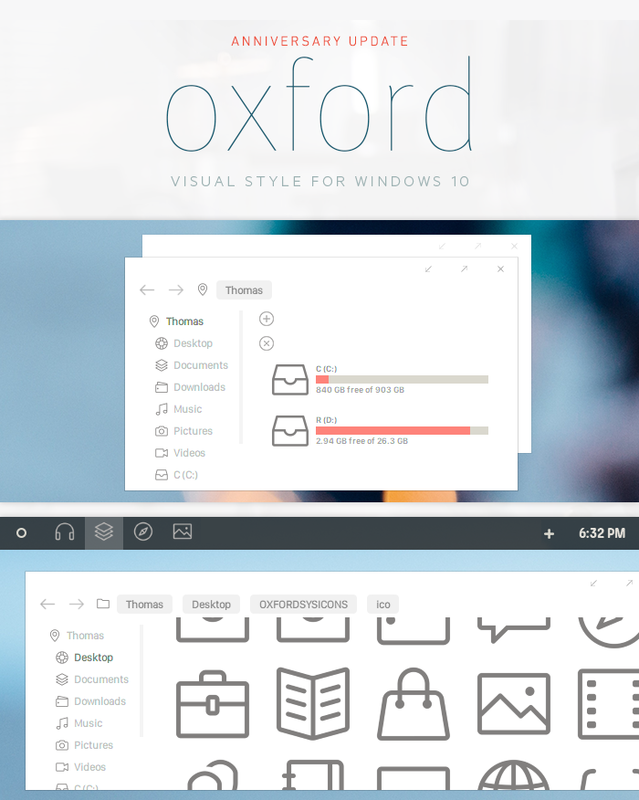 People love to customize their themes and styles, and it’s also the same case of Microsoft latest operating system Windows 10. Microsoft is very strict at third party themes installation because of its new security protocols. It’s almost a year since Microsoft launched Windows 10. Later the time of launch it was full of bugs and glitches when it was launched people were not loving the interface of Windows 10 and wanted to customize their interface to improve the user experience. Windows 10 Officially allows themes which are digitally signed by Microsoft or the ones that are provided for free by Microsoft on its website. It also offers various themes from different categories on their website. But it is limited and didn’t comply with your taste of the overall Windows users in general. You may be wondering why they are not allowing third party themes because people might spread with viruses and malware’s embedded in them. 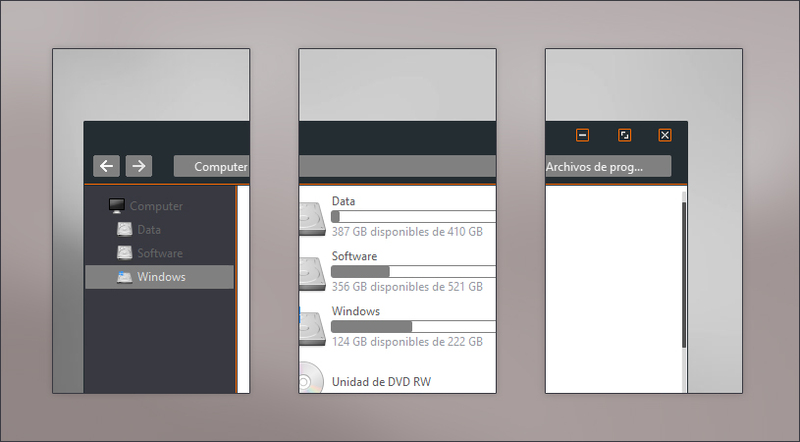 That is why they have digitally signed by Microsoft and didn’t allow third party themes installation from the internet. 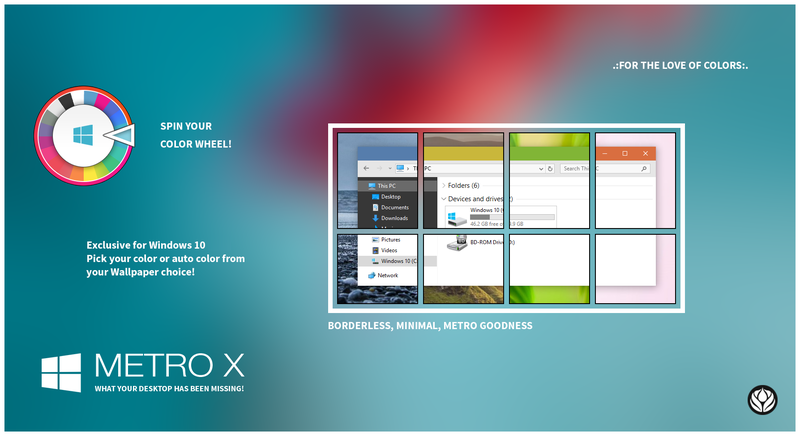 The problem is Windows website didn’t have much customize themes, so you maybe installing themes from third party sites. Let’s find out how to bypass Microsoft limitation on the installation of third party Windows 10 themes. So where you can find themes? Deviantart.com is one such community driven website from where you can download Windows 10 themes for free. Well, it did have both free and paid Windows 10 themes. How to install Best Windows 10 Themes? 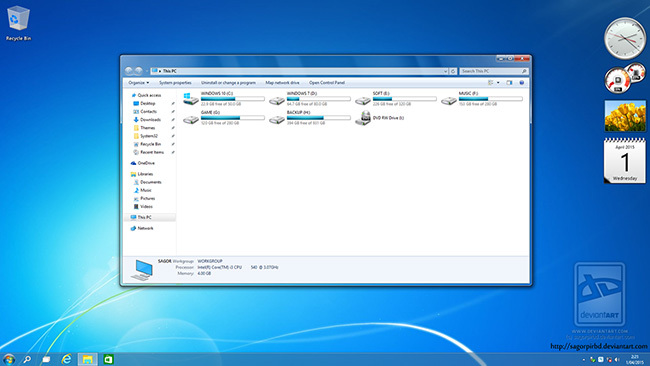 This program allows third party Windows 10 themes. We’re writing this article to guide you through this process. Here’s my list of more than 25+ best Windows 10 Themes for your desktop. 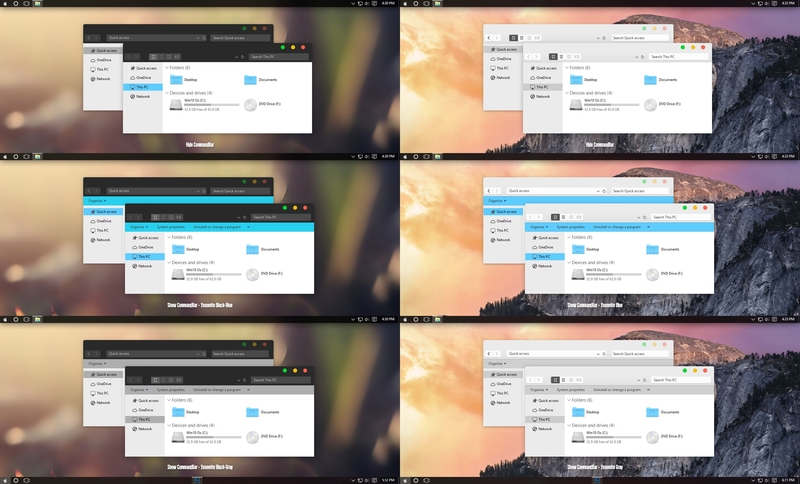 Diversityx VS is a cool theme that can give your Windows 10 a great interface that you might not expect. This skin gives a native look of Diversityx VS interface on your Windows 10 PC, and you’ll get a cool glassy transparent interface. 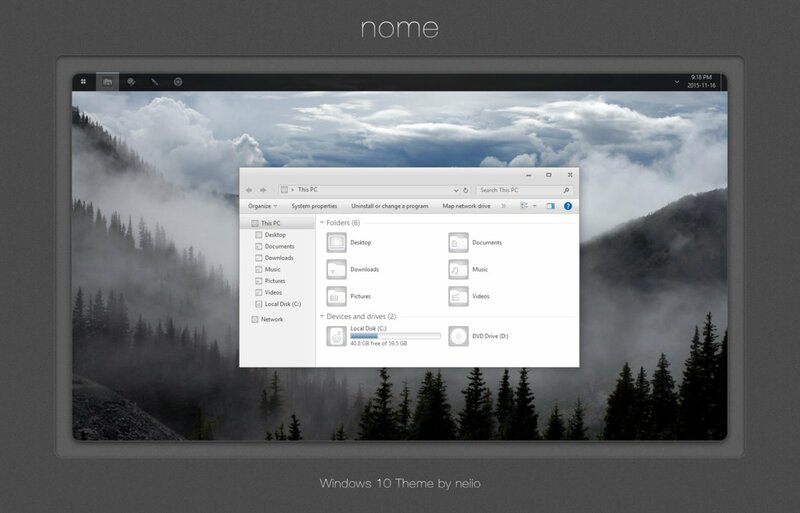 Nome is a cool theme that can give your Windows 10 a great interface that you might not expect. 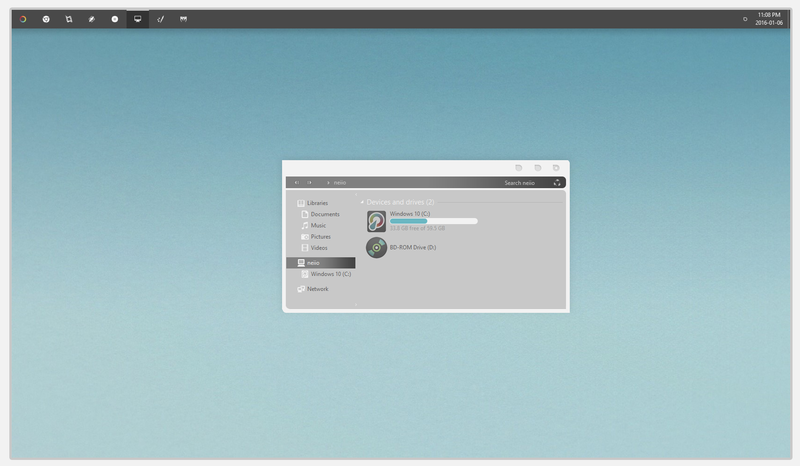 This skin gives a native look of Nome interface on your Windows 10 PC, and you’ll get a cool classic interface. 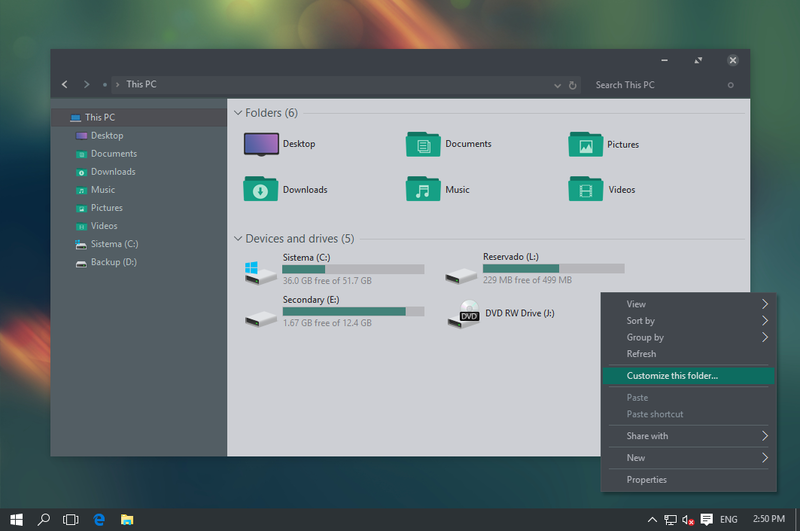 FFox is a cool theme that can give your Windows 10 a great interface that you might not expect. 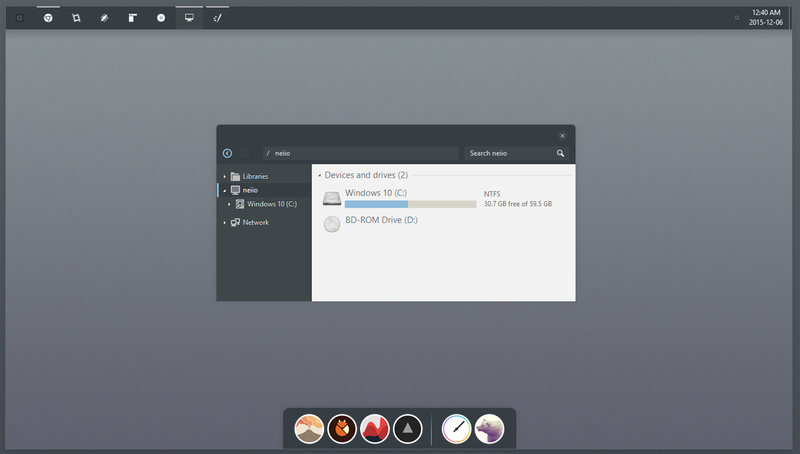 This skin gives a native look of FFox interface on your Windows 10 PC, and you’ll get a Classic shell and amazing color palette. 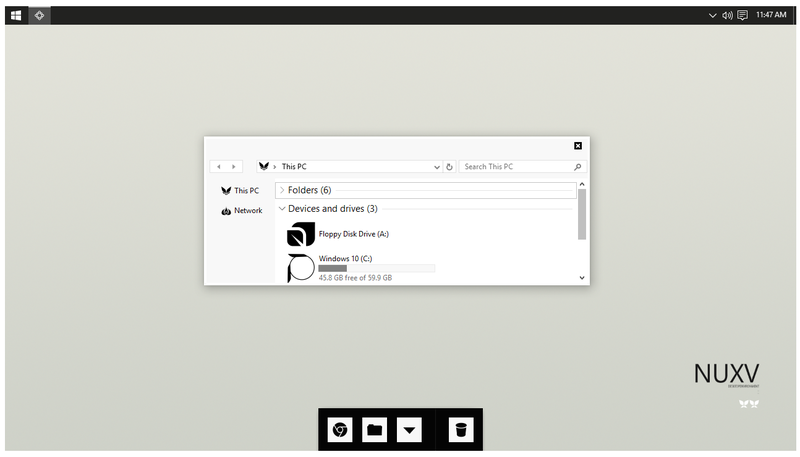 Slave is a cool theme that can give your Windows 10 a great interface that you might not expect. 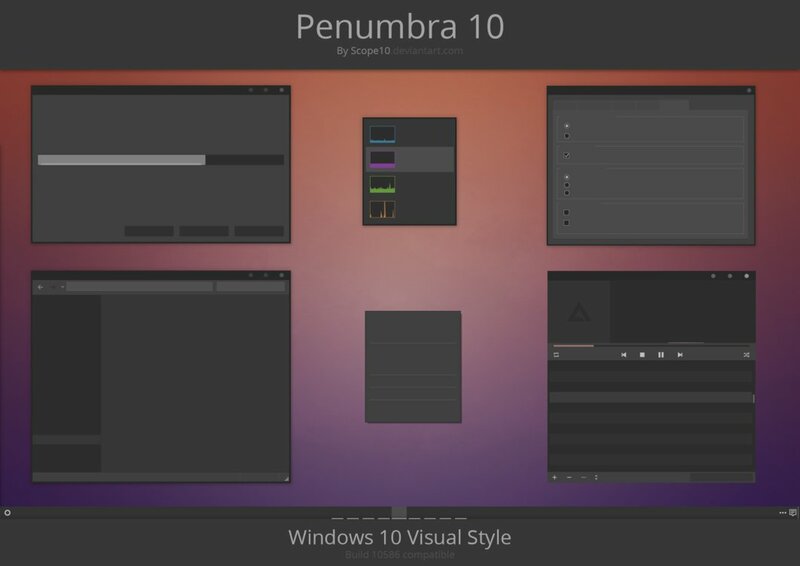 This skin gives a native look of Slave interface on your Windows 10 PC, and you’ll get a Magnificent piece of art. 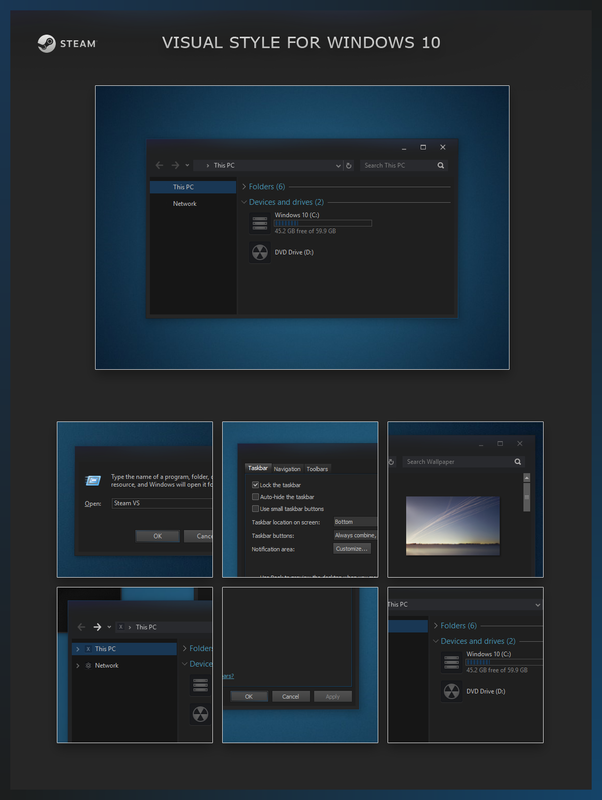 Hastpy is a dark theme that can give your Windows 10 a great dark interface which i really personally like it. This skin will looks amazing on your desktop on your Windows 10 PC. These are the best Windows 10 themes. 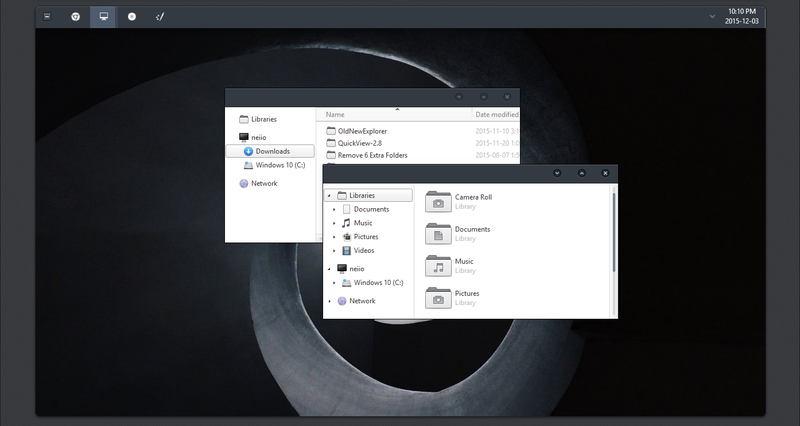 Download and install these themes to make your Desktop interface more attractive. Its not just for Windows 10 you can also install previous version of Windows. Hope you like our cool themes.